Buy cartoon birthday cake starting at Rs.999 at Ferns N Petals. No coupon code required. Offer valid for limited period. Ferns and Petals Offer: Buy chocolates starting at Rs.399 at FernsNPetals. Use the coupon code to avail this offer. With a wide range of options available. Order now and get more discounts. 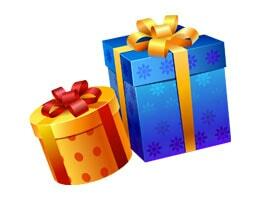 Buy birthday gifts and get flat 10% off at FNP. Use coupon code to avail this offer. Offer valid on products which are listed on landing page. Shop now and get more discounts. Buy birthday cake starting at Rs.549 at BookMyFlowers. No coupon code required. Offer valid for limited period. Buy combo of flowers & cake starting at Rs.1040 at BookMyFlower. No coupon code required. Offer valid for limited period. Shop all products and get flat 15% off at FlowerAura. Maximum discount Rs.300. Offer valid for only new users. Use coupon code to avail this offer. Shop now and get more discount. Buy a gift for any occasion and get flat 10% off at MyFlowerTree. Use MyFlowerTree coupon code to avail discount. Choose from the wide range of flowers online. Offer valid on products displayed on the landing page. Get 1 Kg cake and get 6 roses bouquet free at MyFlowerTree. Use coupon code to avail this offer. Find the latest collection of gifts as like cakes, flowers, chocolates where you have the huge discount on purchase. Get free chocolates on a purchase above Rs.999 at MyFlowerTree. Use coupon code to avail this offer. Choose from Chocolates to cakes, Flowers to showpieces, the newest variety has brought to you a grand collection. Buy birthday gifts & cards starting at Rs.499 at FlowerAura. No coupon code required. Buy flowers, cakes, gifts & combo and get flat 10% off at BookMyFlowers. Shop for Rs.2000 at FlowerAura and get flat 20% off. Use FlowerAura coupon code to avail discount. Choose from the wide range of flowers, cakes, gifts & more as per the occasions. Offer valid for a limited period. Buy delicious cake starting at Rs.599 at FlowerAura. No coupon code required. Offer valid for limited period.